LiveRez gave away a new TV to one lucky winner as its showcase prize at the 2013 VRMA Eastern Seminar in Savannah, GA.
Barbara Miller from Vacation Rentals of North Myrtle claimed the prize, beating out a large field of entrants, as this year’s seminar saw a record attendance of 468 vacation rental professionals. 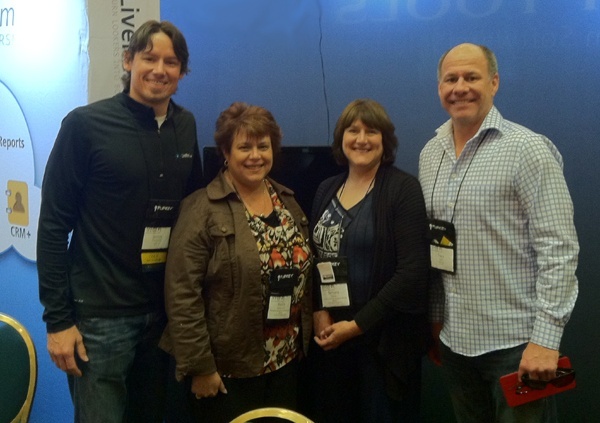 Barbara Miller from Vacation Rentals of North Myrtle Beach won LiveRez's showcase prize at the 2013 VRMA Eastern Seminar. Miller is seen here with Marcia Hanscome of Vacation Rentals of North Myrtle Beach, LiveRez CEO Tracy Lotz and LiveRez employee Juston Clarkston.